It is an exciting time to be working at St John’s. With a new parish priest waiting in the wings, exciting new bits of the building about to appear and the promise of yet more cake, it is bound to be a busy few months! It is fantastic to see our building evolving, becoming more user friendly and adapting to the needs of the 21st century. However, amidst all this, we need to ensure that we are being the custodians the building deserves. Having spent several days wandering around the churchyard, taking photos and chopping into brambles, the sheer number of visitors the site receives has become apparent. Dog walkers, ramblers and the inquisitive visitor all pass through and enjoy the beautiful wildflowers and the tranquility of the space. With this in mind, I have been busy planning the ‘Cherish our Churchyard’ week, organised by Caring for God’s Acre, a national charity fronted by the Prince of Wales. The aim will be to use the churchyard as a community space, whilst exploring the history and environmental issues. We’ve got workshops, working parties and plenty of enthusiastic schoolchildren and teenage volunteers willing to engage with their local churchyard. It should be a great week! 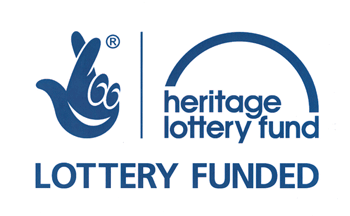 Heritage Learning Officer of St John's, Sharow.